Welcome to Daydreams of Quilts! If you are coming to me from the “Sew Much Fun” blog hop thank you for being here. If you follow me you know that I just released my first ebook last month! The book is called “A Year of Pixel Heart Quilts” and it includes 10 patterns. I designed the Jack o’ Heart pattern in the book specifically with this blog hop in mind. This was a really fun quilt to make and I loved going through my orange scaps and fussy cutting some of them for the Jack o’ Lantern face. 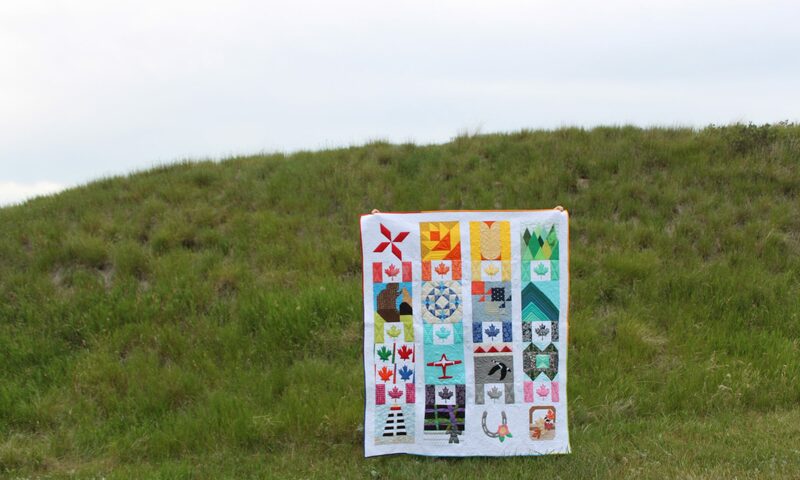 I made this quilt as a wall hanging in about a day but it can also be made as a lap quilt. This quilt is a pattern in my ebook that you can easily make in time for Halloween. You can purchase my ebook at this link. A Year of Pixel Heart Quilts is an ebook with ten quilt patterns to make beginner friendly pixel heart quilts for every season, and several holidays, throughout the year. The download includes a 62 page ebook with ten patterns. These quilts are quick to make so they make great gifts for friends, family or charity projects. Each pattern in the book includes photographs of sample quilts, a digital quilt layout diagram page and digital block construction diagrams. A second file included in the download contains colouring pages for some of the quilts and templates. Detailed instructions are written for each pattern. All quilts in the ebook are designed, pieced and quilted by myself and all patterns are written by myself as well. This book encourages you to shop your stash first as all of these quilts are scrap friendly. The scrappier the better! Click here to get back to the blog hop. I love your quilt. I can't wait to see more of your designs in your eBook.